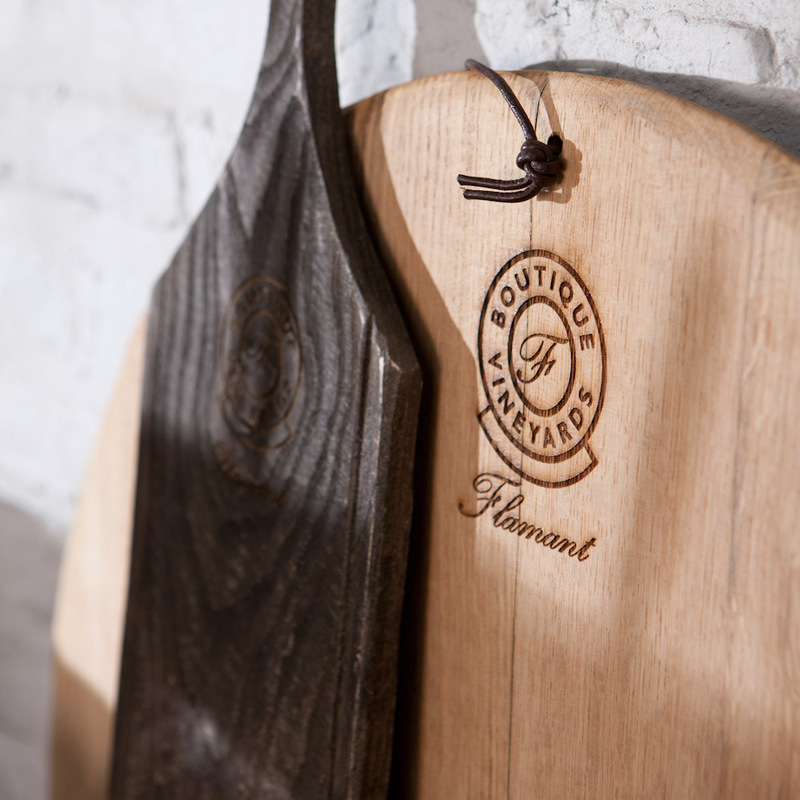 Traditionally crafted from the wood of 100-year-old French oak wine barrels: Our Margaux cutting boards have many a great story to tell. As the characteristic deep red hue of this time-honored board suggests, the barrel it was made from was used for storing fine red wine. Perfect for serving bread and cheese but also meat or even sushi. Hand-made by artisans on a vineyard in the South-African Franschhoek valley and branded with the Flamant Boutique Vineyards logo. Gently rub the vintage oak board with olive oil to protect the age-old wood for many delightful years to come.